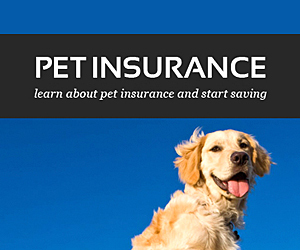 Pet insurance quotes comparison : are you ready to pay for a vet emergency ? When a copperhead snake snuck up and bit Alyssa Singer’s Doberman, Miles, on the muzzle, she didn’t think twice about rushing her pup to the vet. But the $600 vet bill stopped her in her tracks. Miles was fine after a dose of anti venom and some tlc but Alyssa’s bank account is still recovering. Melissa Vincent’s Bichon Frise, Fenway, needed not one but two knee surgeries to repair subluxating patellas, a fairly common orthopedic problem in the breed. Melissa ended up shelling out more than $4,000 to get Fenway back up and running again. Do I need pet insurance ? What are the pros and cons of pet insurance ? How do pet insurance programs compare ? How does pet insurance work ? Looking for cost estimates, check out some real quotes for pet insurance cost. Why do I need pets insurance ? Why pay a monthly or quarterly premium to a pet insurance company when you could just stash some savings every month in an account earmarked for vet bills ? While putting money aside is always a good plan, it doesn’t always provide the extended financial cushion that the right pet insurance for cats program can offer. Simply put, with pet insurance your money stretches much further than the actual out of pocket cost of treatment. Scenario : your dog has cancer. Now what ? Let’s say you faithfully saved $25 a month for five years and your vet bill savings account sits at $1,500, that’s roughly the equivalent of five years cost of pet insurance. Unfortunately, your $1500 in savings won’t stretch beyond initial testing, diagnosis and a few treatments. With a pet health insurance plan, that monthly investment of $25 ensures that you are financially covered for minor and major illnesses such as cancer, unexpected injuries, chronic condition care and even some routine visits, ensuring that a significant portion of what you the vet is reimbursed to you. (Keep in mind, just like human health insurance, vet insurance costs can vary based on a variety of factors such as level of coverage chosen, the breed and age of the animal, pre existing conditions, etc.). How does pet insurance work ? The majority of pet health insurance plans work by reimbursing you for the cost of veterinary care. After paying the initial cost of your pet’s vet visit, you’ll request a duplicate, itemized receipt which you then send in to your pet’s insurance company along with a completed claim form. Claims are usually processed within a month and a reimbursement check is sent back to you. Some companies guarantee a certain turnaround time on payout as an added benefit. The amount of your reimbursement depends on your insurance policy details and exclusions, the type of procedure, the cost of that procedure, the allowance per procedure on your policy and your plan’s deductible. Car insurance covers you in the case of an accident or theft, something unexpected and unplanned. You don’t expect car insurance to pay for routine maintenance such as oil changes and tire rotations, and if it did, you would expect to pay a higher premium. Pet insurance is no different, so make sure you are happy with both cost and amount of coverage you receive. There is no way to plan for an accident but you can prevent it from costing you an arm and a leg. Accident coverage is the most common type of pet insurance. Every pet health insurance company offers accident coverage, no matter the age of your pet. Illness coverage is often limited and becomes more expensive as you pet ages. That’s why it’s important to get pet insurance ratings at the youngest age possible to reduce pre existing condition exemptions and to reduce your monthly cost. Some companies will even lock in the monthly premium for coverage when you start your policy through the life of your dog. This might cost a little more, but if your dog lives fifteen years, it will likely be worth it. Illness insurance coverage is where you can really benefit over the lifetime of your pet’s policy. Accident and illness coverage is sort of a no brainer, we can all agree it’s good to be insured for the unexpected (and expensive). Wellness coverage for annual routine exam is a bit more subjective than illness or accident coverage. Wellness coverage depends on whether you’d rather save for these routine annual expenses, or whether you’d rather have wellness insurance as a way to pre pay and amortize the cost of wellness visits over the course or a year. Keep in mind, a single routine annual vet exam can cost upwards of $300 depending on your vet, where you live, and the types of procedures, vaccinations and tests your vet requires during an annual exam. So before deciding which type os pet insurance to choose try to search online for top rated pet insurance, best pet insurance reviews, pet insurance review and pet health insurance reviews, this way you’ll have all the information you need before taking a decision.